Now that Truffle has made installation easier, I have cleaned up and streamlined the windows install steps below. 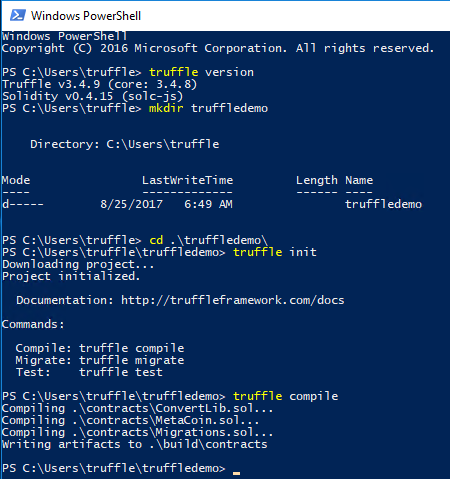 I highly recommend installing Truffle via WSL instead. I have been doing a bunch of Blockchain development work, one of which was recently featured on the front page of the Australian Financial Review and on Microsoft’s news website. If you don’t have Windows 10, and really want to install directly on Windows then continue. 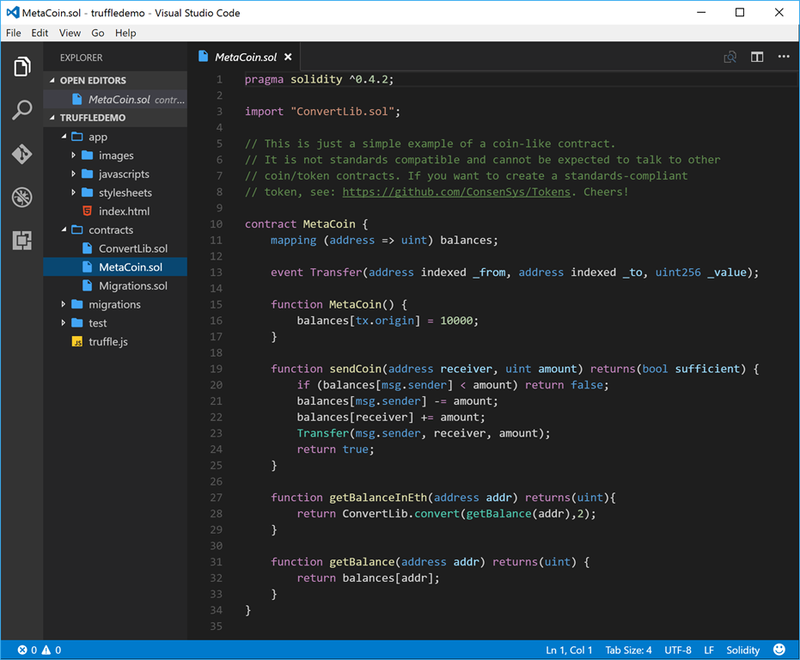 Read more about configuring Visual Studio code for Blockchain development in my other post. You may see some informational notes that optional components were skipped. 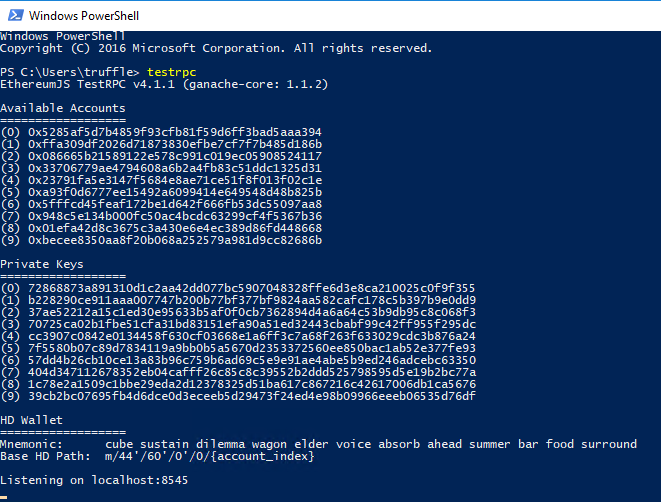 You can run the commands truffle and testrpc. This is how I use Truffle & Visual Studio code together. Make sure you install and configure Visual Studio Code with the Solidity extensions. This no longer seems to work. On a blank machine the node installation fails. Only one step can be completed. I am exploring blockchain, can you suggest the next logical post I should follow to move in right direction? There is a small error in the text if you copy for deploy: ”npm install -g –production windows-build-tools”. You get the error: Argument starts with non-ascii dash, this is probably invalid: [ ‘–production’, ‘windows-build-tools’ ]. It should be “npm install -g -production windows-build-tools”. 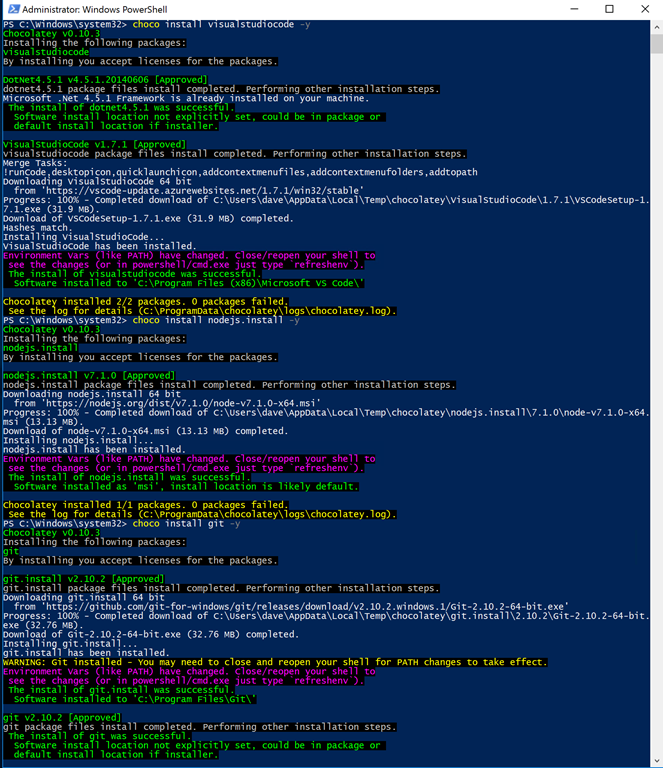 I’ve created an Ubuntu Dev Machine Azure ARM template that automates the install of VS Code, Truffle, TestRPC, Parity and the integration with VSTS using the TFVC tool. This repository can be found at: https://github.com/evanuum/azure-blockchain–ubuntu–blockchain–dev. I’m working on the Windows version of the template. hi, the truffledemo not exits on my Temp files and , Everything has gone well until then, the testrpc gave me as a result test accounts and etc … I only have problem with that, where is my truffledemo? jajajaja. How silly I feel, but that’s how I learn. I had to create the folder … OMG …. it already works for me and I’ll start programming, … thank you! 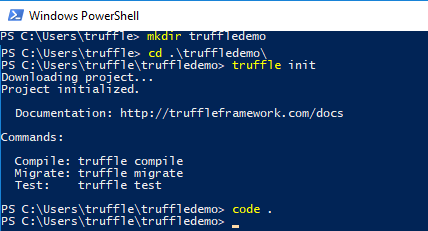 for beginners like me: as SL says, you have to create a test folder and name it whatever you want (truffletest) via commands mkdir xyz, then enter it via cd xyz, and start with “truffle int”, after that with “code .” you will get the extension running… and it is awesome! Hi David / anyone reading. First up thanks David for these super useful tutorials / posts. Really saved me a lot of time. I noticed after your latest update that the article is missing the command to install the windows build tools – npm install -g -production windows-build-tools. I think they are still needed – or at least some of them are, I just tried going through this setup again on a new machine and got quite a few errors when trying to run npm install on the truffle boxes – most seem to relate to python being missing but their could be others. At which point should I run TestRPC. Some body please guide me. Do you need someone to read the instructions for you, Zulfi? Was there a particular word that was too complicated?